We have a significant project underway to improve the Morrisburg Beach comprised of: an extension of the beachfront area to the west, new docking system to provide protection from erosion and a safe swimming area, removal of the 1950’s cement pier, a picnicking area under the trees, a good cleanup of the shoreline and new sand! Overall a huge improvement that will hopefully see both residents and visitors alike enjoying hot sunny days at the beach. On Saturday, June 22ndwe have an event planned for the re-opening of the new and improved Beachfront – an old fashioned picnic, with water activities, games, bbq and a giant strawberry shortcake. Our request of the 100 Women Who Care is funding for a Combination Water Bottle Filling Station and Fountain to provide drinking water for kids and families at the beach for the day, and for those walking/running along the waterfront path. Water Station $2,000 + Plumbing $500 = $2,500. 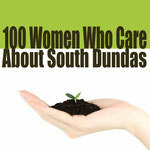 How will completion of this project directly benefit the residents of South Dundas? While a beautiful location, the Morrisburg Beach has seen very few improvements over the years. With daily swimming lessons and increased numbers of folks using the beach, this entire project is long overdue. 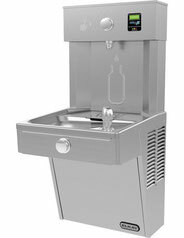 Specifically, the water station will keep kids and families hydrated while they spend time at the beach on hot sunny days. The added benefit is that there will be water available for those walking or running along the waterfront path. Improvements to the Morrisburg Waterfront have been under discussion and planning for a very long time. We would like everyone to have an updated view of the Committee and its’ mandate. With experience in Engineering, Construction, Tourism, PR, Volunteering and specific Community infrastructure knowledge, the current iteration of the Committee has found the right formula for getting things done. This entire project will be a HUGE improvement, finally seeing the plans come to life. Please visit our Facebook page, Friends of the Morrisburg Waterfront. Become a "Friend" and help us shape the future of our beautiful waterfront park!